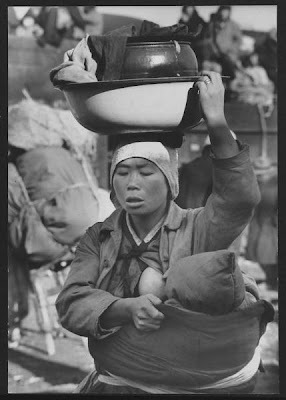 In 1947, Carl Mydans and his reporter-wife Shelly became Time-Life's bureau chiefs in Tokyo, and they remained in the Pacific area for the next several years. 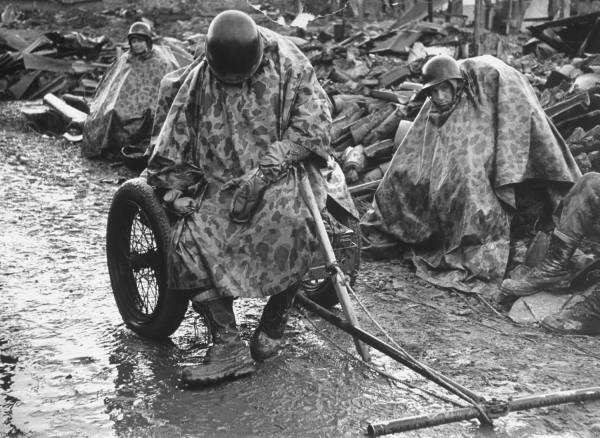 Carl Mydans was present during a 1948 earthquake in Fukui, Japan, and also covered conflicts leading up to the Korean War, and the war itself in 1950 and 1951. We came across an excellent article by Brian in Jeollanam-do describing the recent anniversary of the Yŏsu Rebellion. "Tuesday, October 19th, marked the anniversary of the "Yŏsu Rebellion," written in English also as the "Yŏsu-Sunchŏn Incident" or the "Yŏsu-Sunchŏn Rebellion," one of several bloody exchanges in Jeollanam-do last century, and one whose background serves to foreshadow the violence of the Korean War two years later. The 여순반란사건 was a crackdown against suspected communists in South Jeolla province, specifically the cities written now as Yeosu and Suncheon, that resulted in hundreds or thousands of deaths, depending on the source. "When darkness came, Communist execution squads went from house to house, shooting "rightists" in their beds or marching them to collection points where they were mowed down. In 2-3-days, 500 civilians were slaughtered. U.S. Lieuts. 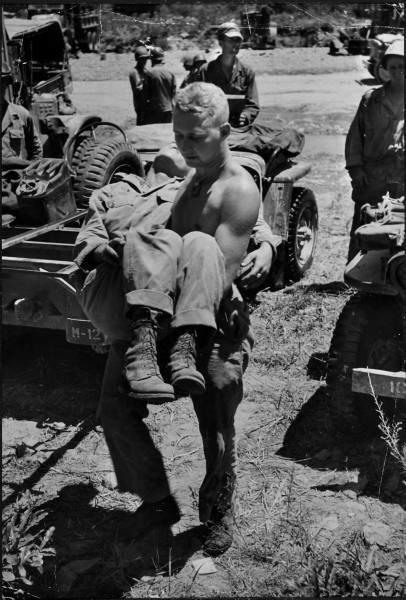 Stewart M. Greenbaum and Gordon Mohr, Army observers in Sunchon, narrowly escaped death. The rebel sergeant assigned to kill them was an old friend, who had drunk beer with them in their billet many times. He took the two officers into a field, fired into the ground and then led them to the Presbyterian Mission of Dr. John Curtis Crane, who was barricaded in with his wife and four other missionaries. From one of the doctor's shirts and a few colored rags the ladies made a 16-star, eleven-stripe U.S. flag and put it up. The rebels began pounding at the compound gate, yelling: "Let's kill the Americans!" Suddenly one shouted: "No, no, not them; they are my friends." It was the lieutenants' friend, the sergeant. The rebels went away. For the first few hours the loyal troops who retook Sunchon were as savage as the Communists had been. On the big compound of the Sunchon Agricultural and Forestry School we found what was left of the entire population of Sunchon. Women with babies on their backs watched without expression as their husbands and sons were beaten with clubs, rifle butts and steel helmets. They saw 22 of them marched away to the primary school nearby, and heard the volley of rifles which killed them.'"